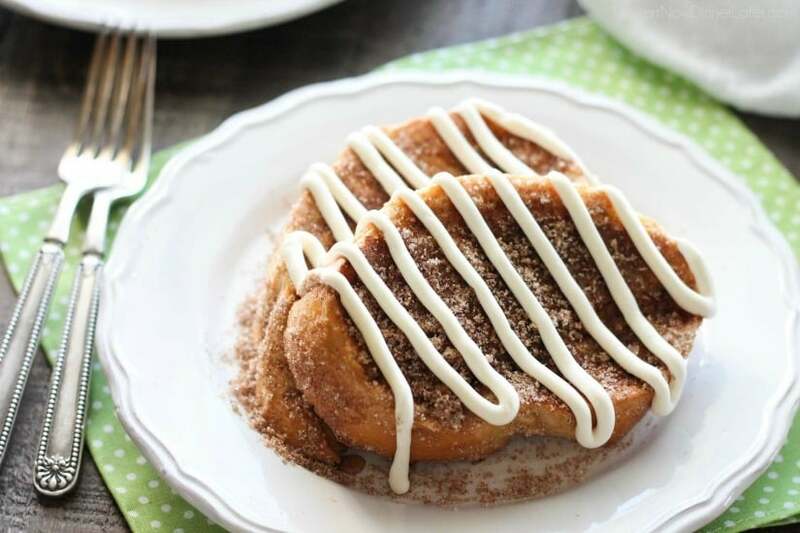 Churro French Toast – Thick slices of French bread are battered and pan fried, then dipped in cinnamon-sugar, and topped with a buttery cream cheese frosting. Delicious! 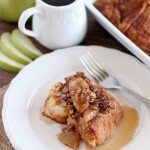 It’s National French Toast Day you guys and I’m super excited to share this Churro French Toast recipe with you all! It’s one of the best things I’ve ever eaten and legit tastes like a churro. 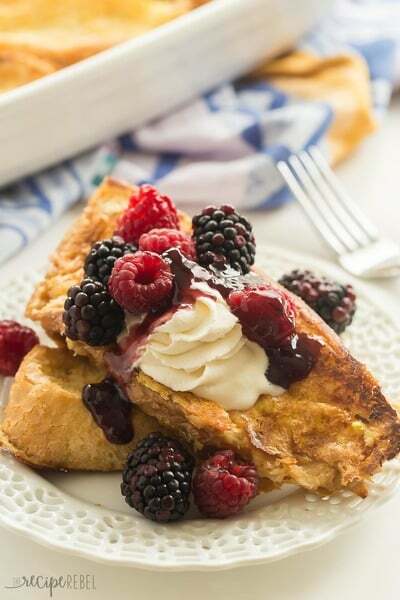 The icing on the cake — or French toast rather, is none other than cream cheese frosting. If you want it thinner like syrup, you can easily turn it into a glaze with more milk. Personally, I like it thick and indulgent. 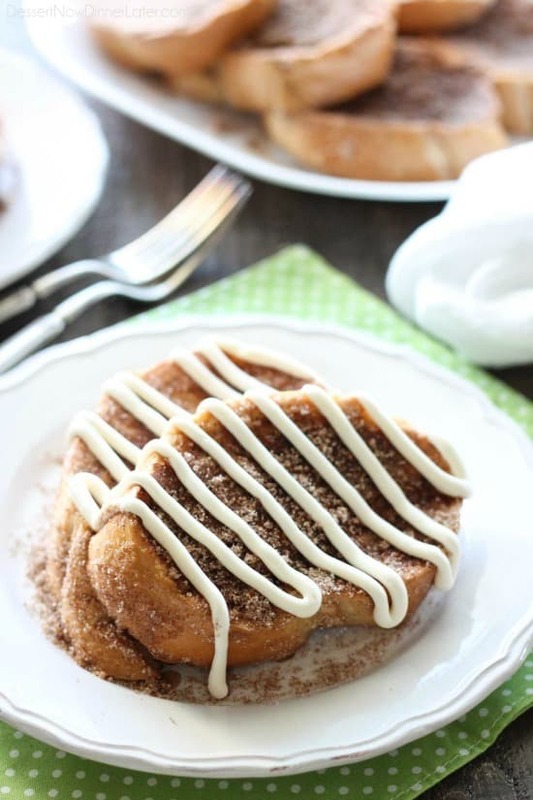 The cream cheese frosting is the perfect sweet and creamy component to go alongside the powdery cinnamon-sugar covered French toast. I, for one, do not like super eggy and heavy French toast. Which is why I rarely make the casserole/overnight kind, so this works out great for me. I soak my toast just long enough to be wet all the way through, without getting dense and heavy, then throw it on my griddle to cook. Perfection! 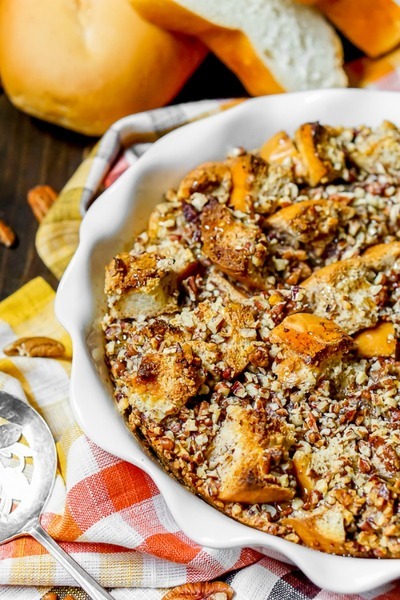 Hot and ready French toast is better than a French toast casserole that takes up to an hour to bake anyway. 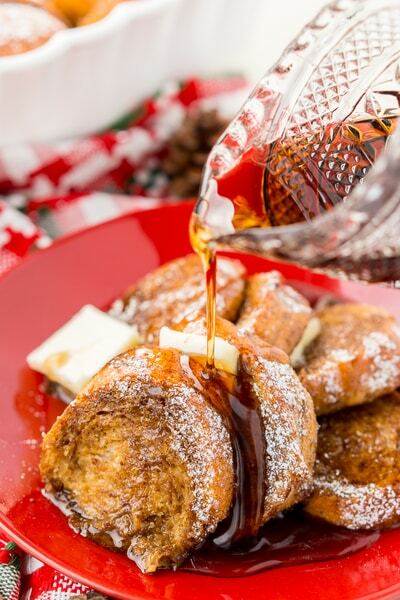 If I had to compare this churro French toast with something besides a churro, I’d say it tastes a lot like a sugar donut from the bakery, except with cinnamon too. 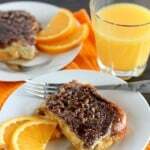 Dessert disguised as breakfast is the best thing ever! 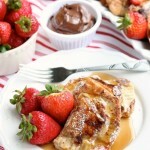 Make this soon! You won’t regret it! 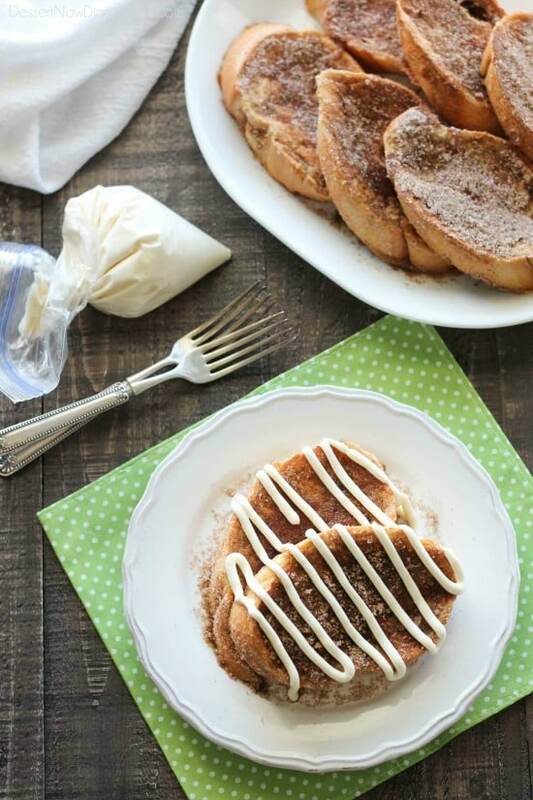 Churro French Toast - Thick slices of French bread are battered and pan fried, then dipped in cinnamon-sugar, and topped with a buttery cream cheese frosting. Delicious! 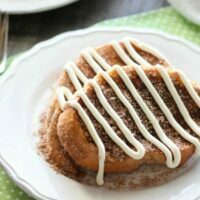 Make the Cinnamon-Sugar mixture by whisking ingredients together on a large plate. Make Cream Cheese Frosting by beating the cream cheese and butter in a large bowl with an electric mixer until smooth. Then add the powdered sugar, vanilla and milk all at once. Add more milk 1 tsp at a time for a thinner consistency, if desired. 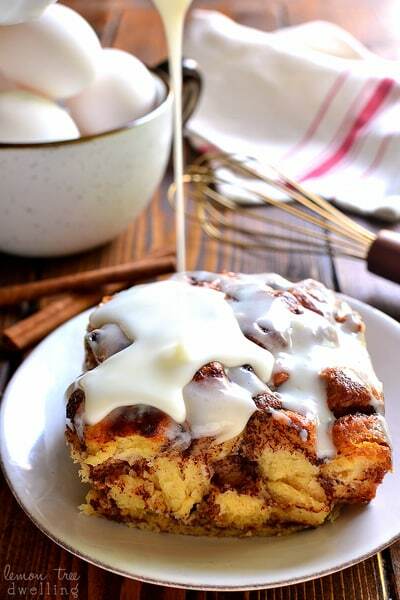 For the French Toast Batter: In a deep dish (like an 8x8 pan), mix the cinnamon with a little bit of the milk to make a paste (this keeps the cinnamon from floating to the top), then add the remaining milk, eggs, vanilla, and salt. (Salt breaks down the membranes of the eggs.) Whisk vigorously until combined. Heat a skillet to medium-high heat or a griddle to 350 degrees Fahrenheit. Melt some butter in the skillet/on the griddle. 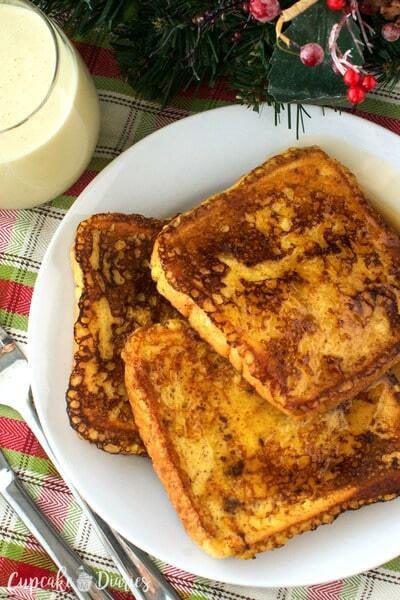 Dip a piece of bread in the French toast batter, then flip it over to coat both sides. Immediately place into skillet/on griddle. 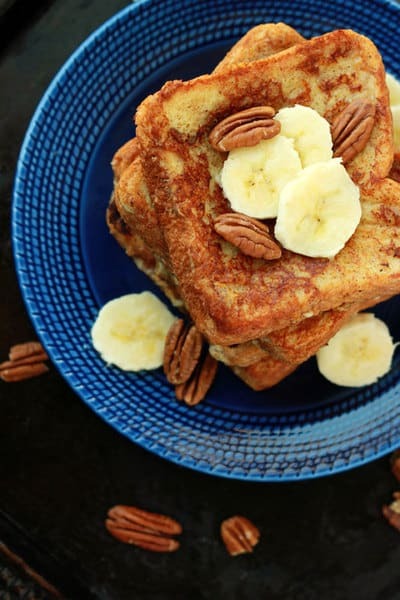 Repeat with more bread leaving 1-inch between each piece of French toast. Cook 2 to 3 minutes on each side or until cooked through. 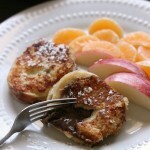 Immediately after cooking place the French toast onto the plate with the cinnamon-sugar. Rub the cinnamon-sugar mixture onto both sides of the bread so it will stick. Place onto a serving plate. Repeat with each slice. 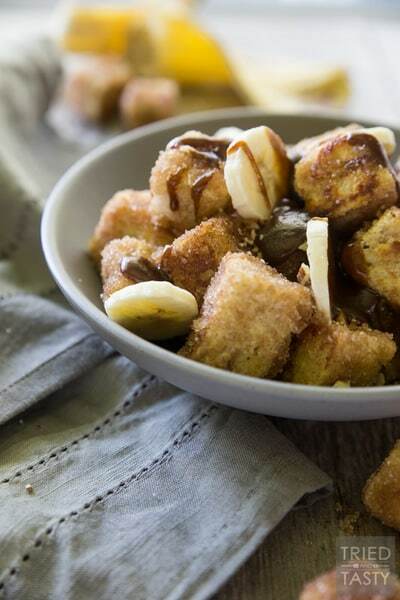 Place the Cream Cheese Frosting into a zip-top bag, cut off the corner and squeeze in a zig-zag motion over each plate of Churro French Toast. Enjoy warm! 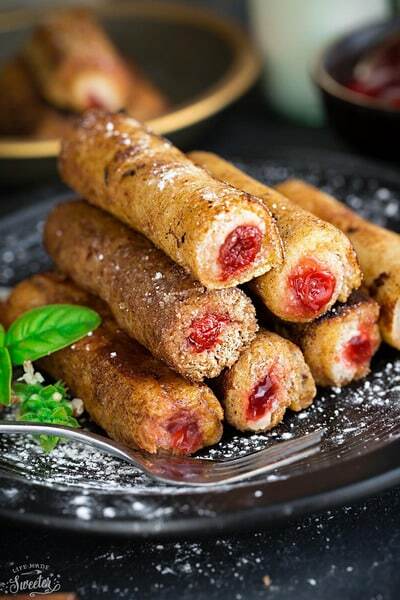 *This does NOT stay churro-like after refrigerating (the sugar melts). It's still good though, so store leftover Churro French Toast and Cream Cheese Frosting in an airtight container in the refrigerator up to 5 days. 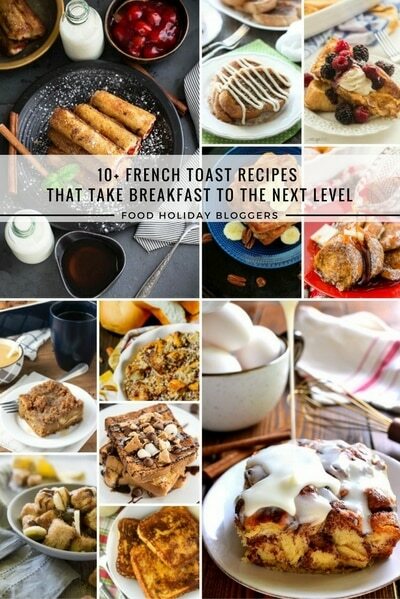 Keep scrolling to check out these other tasty French Toast Recipes! I think I could just eat this for dessert! 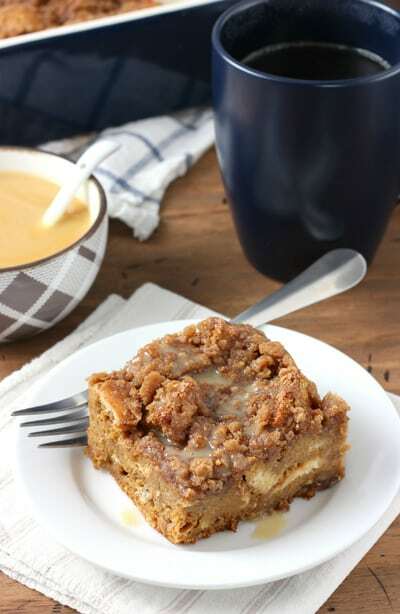 That cinnamon sugar coating looks AMAZING! What a great flavor for french toast! 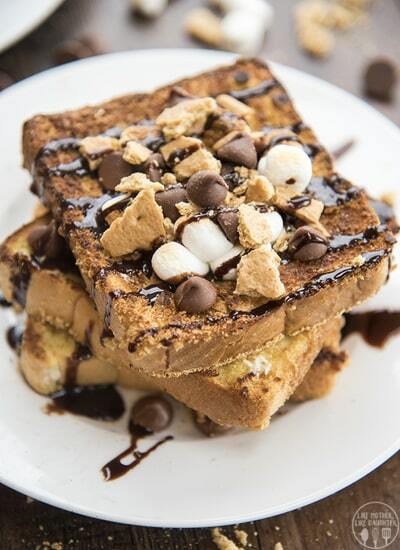 Looks like the perfect addition to weekend brunch!